There are a lot of people who believe it’s easy to make an app, acquire mobile users, get millions of downloads, and retire to the Caribbean. I’m here to tell you that it is absolutely true, as I sip my mudslide, overlooking the beach. It is true that any developer can create an app but once the app is made, the real work begins. With millions of apps available for download and thousands more being added every day, it is getting harder and harder to get noticed. Even with mobile usage increasing, people only download a limited number of apps and use only a handful. A recent study concluded that people spend 85% of their time on only 5 apps. Getting people to actually use your app is another major issue, but in order for that to happen you have to be downloaded first. 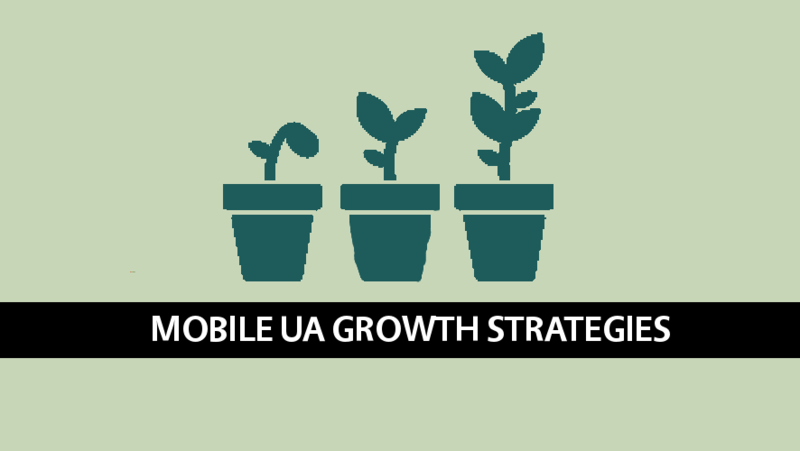 Below are 16 must have growth strategies to acquire mobile users. Since not all strategies are easy to implement or have the same impact on downloads, I have created a scorecard based on my experience to rank the strategies. Make your app free. This may seem obvious to most people but if you are charging users to download your app, you are creating a huge barrier to entry. Almost everyone would rather get something for free than pay, and a measly $.99, which most people would have no issue spending on a candy bar usually becomes a huge deal for people when they are asked to spend that type of money on an app. Make your app free and monetize the users in other ways. Think of your app like a nightclub with no cover charge, let the users in for free, and make sure you charge them extra for their drinks (IAPs) or get someone to sponsor your event for the night (mobile ads). This is easy to implement and has a huge effect on download volumes and is one of the best ways to acquire mobile users. 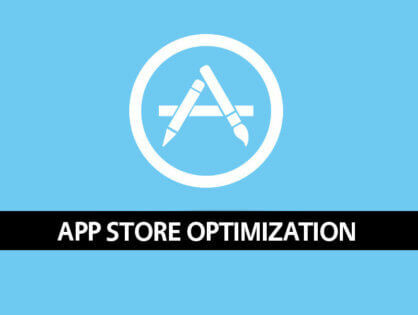 Don’t neglect the impact of App Store Optimization (ASO). There are approximately 1000 new apps available for download in the iTunes App Store every day and “roughly half of users are finding apps via the App Store search,” according to Tune. If you want users to find your app by searching the App Store, you need to optimize the 7 key elements of ASO. Make sure to execute each element and keep experimenting. Make sure to enter great keywords. The iTunes App Store allows keywords with a 100 character limit to be entered for your app. These keywords help users search for products in the store. For example, if you have an app that helps people create healthy meals, you might want you use “food” or “healthy” as keywords. The two most important factors for choosing the right keywords are to understand what your future users might search for to find your app and what keywords your competition is using / not using. Do not underestimate the importance of your app name. The title of your app is weighted heavily in search. If your app name is not a common word that most people would search for organically, like “Snoot,” then it is common practice to add a “-” and a descriptive sentence using words future users might search for. An example would be, “Snoot – Cook Healthy Food.” Adding these keywords in the title will make your app more ‘searchable,’ and will explain what your app actually does. However, it is important to note that app stores are cracking down on this practice. If you want to avoid your app being rejected, make sure you execute this tactic correctly. Choose the right categories for your app. All app categories are crowded but some are less crowded than others. By choosing the right categories (those that make sense for your app but are also less crowded than others) your app will achieve higher rankings, more visibility, and downloads. Make sure your app has a star rating of at least 4. There are only two ways to ensure your app is rated highly and users are leaving positive reviews. Make a really good app and encourage people to give positive reviews. Most people only rate apps if they have a bad experience. Encouraging your users to rate the app positively when they are using the app will lead to better ratings. Make sure your screenshots look impressive and also tell a story about why your app should be downloaded. Don’t just take screenshots of your app, make digital ads showcasing why people should use your app. If people can’t figure out why they should download your app by looking at the screenshots; you are doing it wrong. Create a great looking icon. Your app’s icon will become its identity. It is important to design different icons and test how they look against the competition and on device. There are many reasons to choose your icon design. No matter which design you choose, make sure it represents your brand and also stands out from the crowd. Don’t worry too much about the description. The description is important but not as important as one might think. Most app stores do not incorporate the description in ASO. However, the description is important for users who want to know what the app does before they download it and it is also important for SEO (people who will find your app by searching through the web). Invest in Facebook ads to get downloads for your app. Many app developers / publishers are finding success by using Facebook / Instagram ads to drive mobile installs of their apps. Facebook ads are relatively easy to use, provide specific targeting, great analytics, A/B Testing, and the cost per install is relatively low. If you want cheaper quality users for your app and have budget to spend, Facebook ads is a great place to start. Make your app appear to be exclusive. People like exclusivity. Instead of secretly releasing the app to a few countries for a soft launch and then hard launching to the entire world, build suspense by setting up an email list so people can sign up to receive updates and access before anyone else. You could also make it so that the only way people can use your app is to receive an invite from someone else. TheMailbox app executed this strategy perfectly. Use mobile ads to drive downloads. Acquiring users through mobile ads (advertisements of your app running in other apps) can be expensive but this tactic will get you downloads. 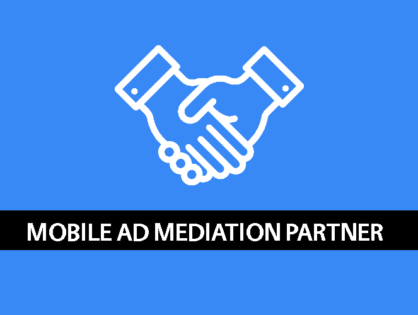 First you need to decide on whether you are going to use an ad mediation layer and which ad network SDKs you want to integrate. Next you need to decide what type of users you are looking for. There are two different strategies that you need to understand. You can go for high quality users which will be more expensive to attain, should use your app longer, and will be slowly gained over a longer period of time or you could go with the strategy of attempting a “burst campaign.” This means that you will be acquiring cheaper users who have been incentivized to download your app. They usually don’t stay in the app very long but they are a lot cheaper and there is higher volume. It is called a burst campaign because you get a lot of cheap users over a short period of time which pushes your rank higher in the category, increasing your visibility so that quality organic users see your app and download it. The last thing you need to decide is what type of ads you want to run; banner, static, video, interactive, etc. The type of mobile ad creative that you choose will also impact the amount of downloads you receive. Mobile ads will definitely get you downloads but there has to be a plan in order to get quality users. Integrate with Social Media platforms that make sense for your app. Integrating with existing social media platforms like Facebook, Instagram, and Twitter provide 3 main benefits. Your potential users are usually very familiar with these platforms and aligning your brand with the platforms will give a sense of familiarity. Connecting your app to these platforms also allows the user the option to share information from your app easily to their social network which should increase the app’s visibility. The last benefit would be the access to new analytics. Many social networks provide analytics for your app that you may not be able to get otherwise. Get the original equipment manufacturer (OEM) to partner with you or promote your app. This is easier said than done but there at least 3 tactics you could implement to give you a better chance of getting your app noticed by Apple, Google, Amazon, Microsoft, etc. First, make sure that your app incorporates unique platform features. If you are building your app for iOS make sure you include iOS only features like GameCenter or iWatch. If you want to get the attention of the OEM, you need to embrace their technology. Next make sure you have a good app. It needs to be well made, positively reviewed, and on its way up in the rankings. The last thing to do is to reach out to the OEM and get their attention. This is usually the hardest part but if you don’t do the first two steps, you won’t stand a chance to do the last step. Cross-promote your app with other apps in your network. If you have published a number of different apps, it might make sense to cross-promote users across all your apps. It is likely that users who are already familiar with your brand would be more likely to try out another one of your apps. If you only have one app, try to partner with other similar apps to cross-promote and share users. Partner with a brand, if you can. It is much easier to get downloads partnering with a brand that people already know than creating an app from scratch which has no brand recognition. However, getting a licensor to partner with is not that easy to do. Brands will only partner if you have users and users will download if they recognize the brand. A classic Catch-22. Collect email addresses, verify, and market. Collect emails by any means necessary. This can be done getting users to give you their email address through website, in-game, or other digital channels like Social Media. Even better if you can entice them by giving away something for free like free IAPs or unlocking exclusive content. If your app isn’t released yet, create an email sign up and entice people with special offers or beta releases. Just make sure that when you collect the emails that you do it by a double opt-in process in order to verify the email addresses. Email with special content or offers and do not spam. Leverage your social media channels. Most app developers are targeting the same people that use social media when they release their app. It is important to leverage your social media channels to drive exposure. It is easy to set up, free to use, and can expose your app to millions of people. Make sure to work on growing your audience on the right social media platform(s) in order to find your potential users. This strategy is a must have and very easy to setup but the amount of downloads received highly reliant on your reach. If you don’t have millions of “likes” or “followers,” the impact is minimal. Reach out to the press to write about your app. There are thousands of app reviews websites and publications. Getting your app reviewed will give you SEO and will probably lead to app downloads. Make sure that you prioritize the publications you want to target by how much reach they have. The more reach and influence that the publication has, the more downloads you are likely to receive as a result. The problem with using press to gain downloads is that it is very difficult to track and a lot of time to implement. Also, be wary of app review sites that charge a fee. You are most likely better off to use the money to acquire users through paid ads. Create content to market your app. Content marketing is a slow and steady race, but is a great non-invasive way to get users to download your app. Use a blog or social media to post content. Make sure the content is engaging, informational, and shareable. Add download links to your app(s) on your website. Your potential users may visit your website. Make it easy for them to download your app by having a mobile website and an app download link. Having a website that has all your apps listed as well as detailed descriptions will also help your SEO and allow you to acquire mobile users. Experiment with influencers to promote your app. Influencers are the new celebrity endorsements. People who have a lot of social following online are likely to promote your app for a fee. Try to find an influencer that fits with your brand. The hard part about influencers is tracking the installs from the campaign. Many influencers will have a trackable link pointing to your app but it is very hard to measure the impact of the campaign. Apply the same digital marketing tactics for the web that work for websites. You can use Google Adwords, SEO, websites, backlinking, and other tactics to make sure that your app shows near the top of the search when the app is searched online. However, it is more likely that people will search for your app in the actual app store, so it is likely that this will have little to no impact and does take a lot of time and knowledge to implement correctly. In my experience working in mobile, these are best strategies to try to grow your mobile downloads. The industry is constantly changing and new methods are always being introduced. If you have any other tried and true strategies, I would love to hear them in the comments.